Summer, of course, has its fair share, but after all our years here, I can’t help but think it is the winter sunsets which are often the most spectacular in Blakeney Harbour. Beautiful to see the light back. Something make the most of in the dark winter. Watch the video on our Instagram to see the warm winter welcome for Santa as he arrives on his boat in Wells-next-the-Sea. What a cracking event last night! There’s a proper blow off the North Sea today, so we’re hunkering down with a roaring fire in our wood burning stove. As I kayaked across the still waters of Blakeney Harbour, I could hear the roar of the waves crashing on the other side of the Point. Every so often a plume of white spray rose behind the Watch House and sea bank. Pulling the kayak up high away from the tide, I walked across the narrow spit of land and down to where the North Sea was churning the beach shingle in a fierce, winter temper. 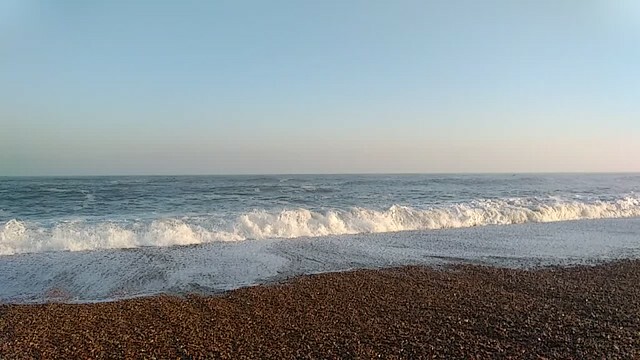 The waves were mesmerising in the pale, early sun.